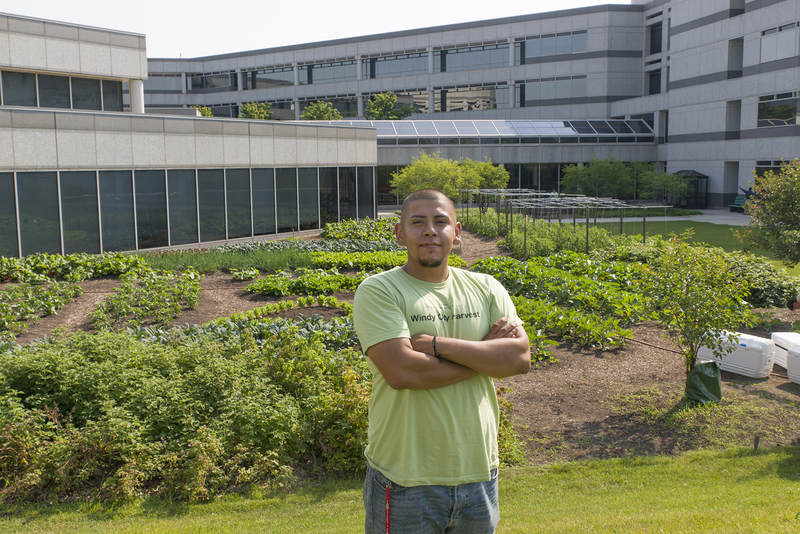 Something is growing in a food desert on Chicago’s West Side. A farm designed, built, and managed by Windy City Harvest for the PCC Austin Family Health Center began operation in the spring to help provide more of what the challenged Austin neighborhood lacks—ready access to produce that is fresh, affordable, and nearby—and enable the center’s patients to more easily fill the prescription for healthy living they receive in the examination room: eat more fresh vegetables. 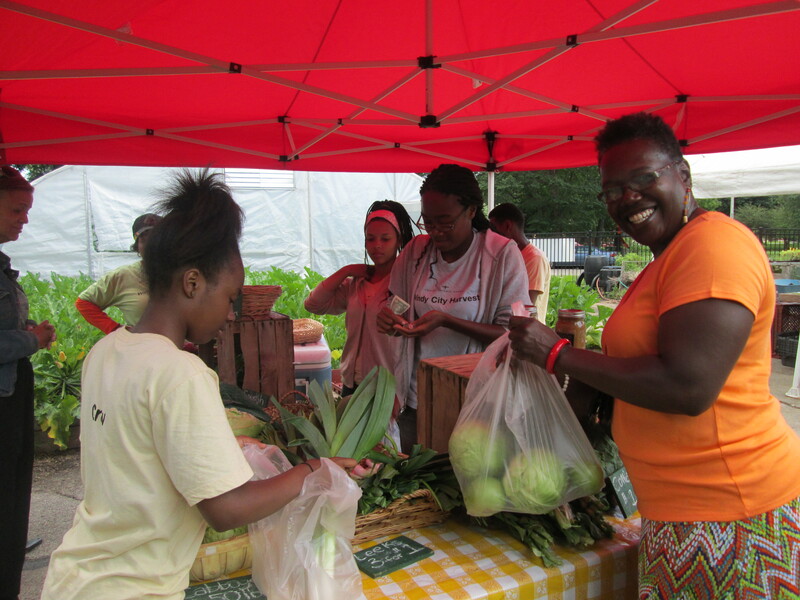 Spinach, lettuce, tomatoes, and other produce grown at the farm will be sold on-site. 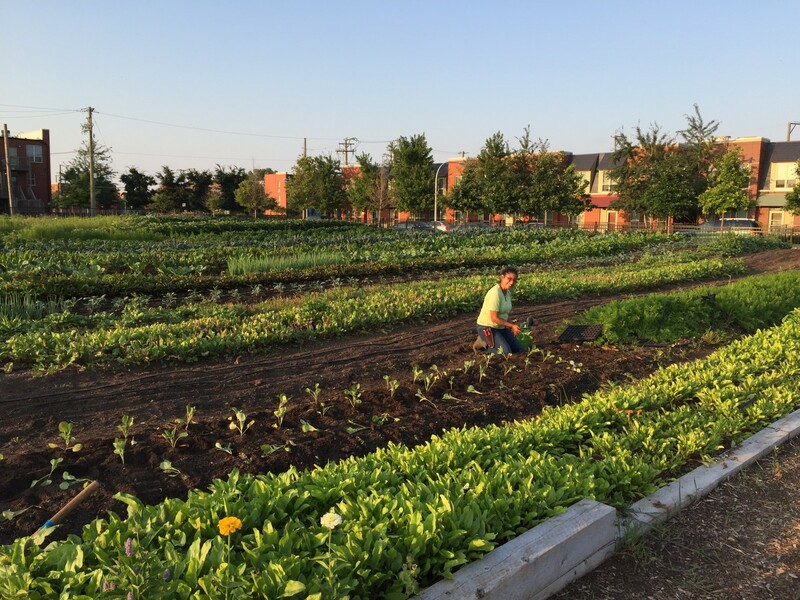 The project finds Windy City Harvest, the Chicago Botanic Garden urban agriculture and jobs-training program, partnered with an urban health provider, PCC Community Wellness Center, in paired missions of feeding communities and improving the health of those living in them. The Austin location is one of the PCC system’s 11 Chicago-area centers. 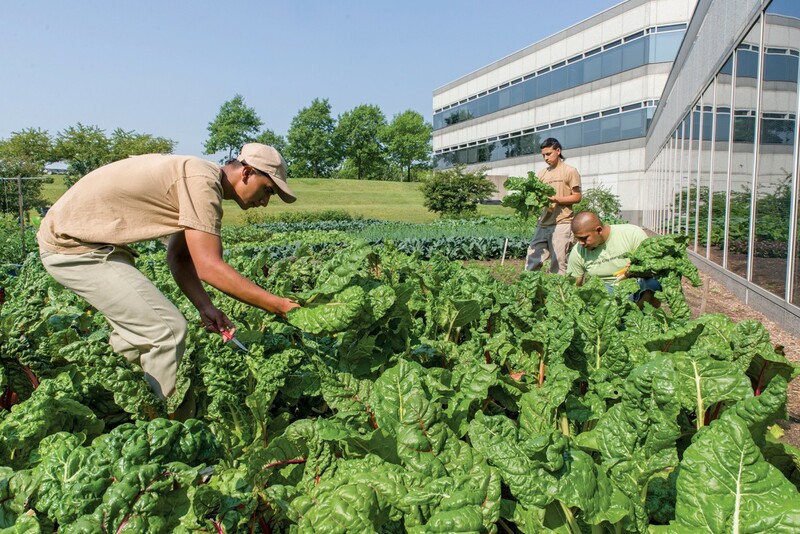 “We needed to come out of the four walls of our medical center and look at ways to give back to the community, get the community involved, explore ways to change the environment, and let people learn about gardening,” said Bob Urso, PCC president and CEO, explaining the project’s genesis. Funding comes from a $350,000 Humana Communities Benefit grant awarded to PCC Wellness Community Center by the Humana Foundation. 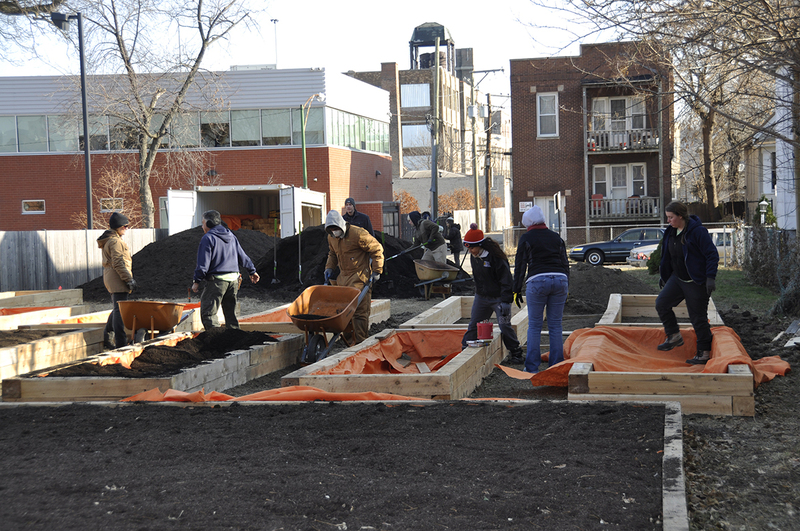 The farm’s groundbreaking took place in October on a grassy vacant lot a few steps from PCC’s modern LEED Gold-certified building at Lake Street and Lotus Avenue. 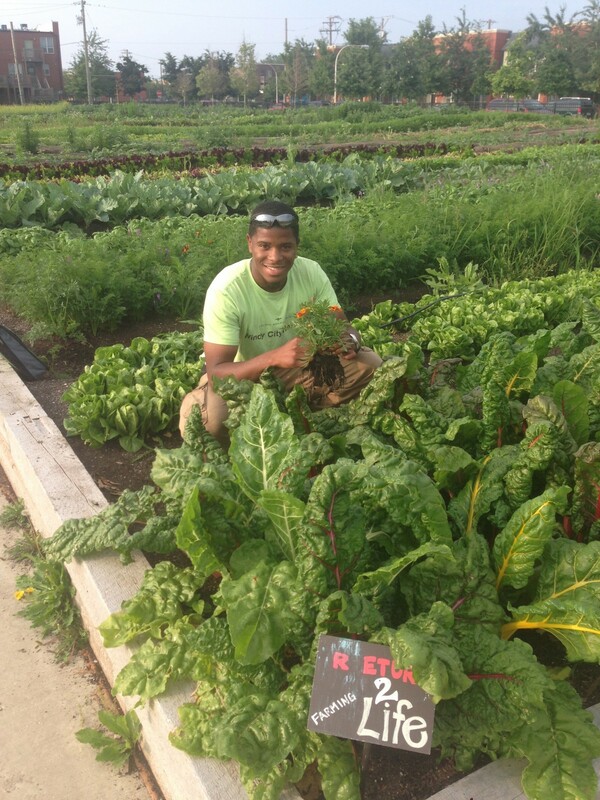 Called the PCC Austin Community Farm until neighborhood residents choose a permanent name, the 8,000-square-foot site comprises more than 20 raised beds that include plots where eight families each year can grow food for their own use, a hoophouse (similar to a greenhouse), and a small outdoor seating area surrounded by fruit trees for gatherings and relaxation. Housing flanks the 50-foot-wide, fenced-in farm on two sides, with a parking lot on the third and more homes across the street. Trains rumble by on the Chicago Transit Authority elevated tracks a half block away. 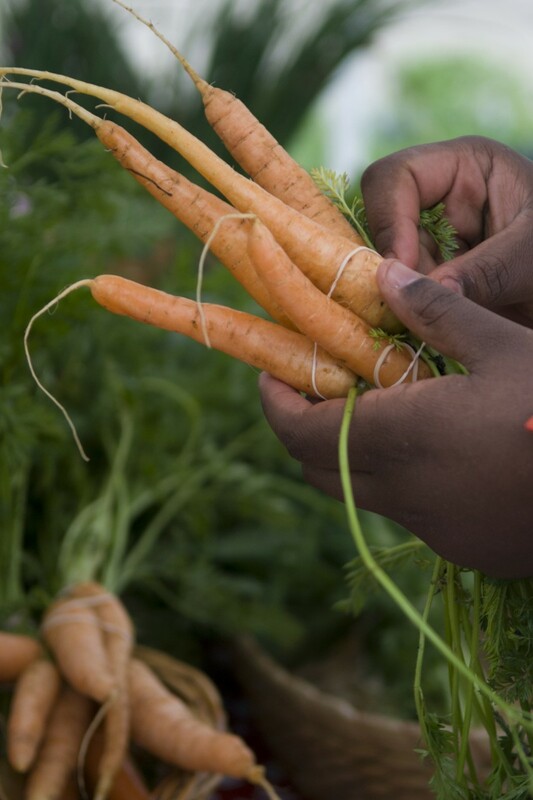 Carrots: a late spring crop, and one of the first to come out of the PCC Austin Community Farm. 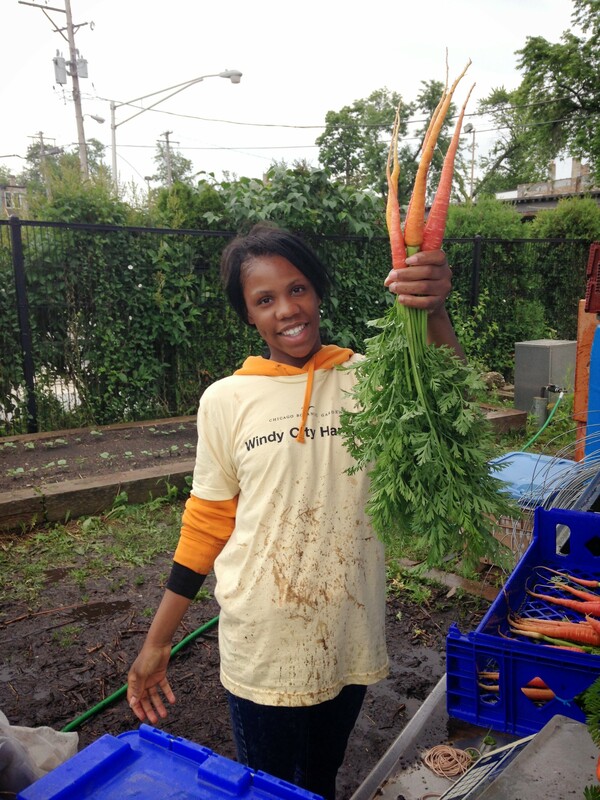 The farm’s seasonal coordinator is Windy City Harvest’s Brittany Calendo, whose role dovetails with her background in public health and social work. 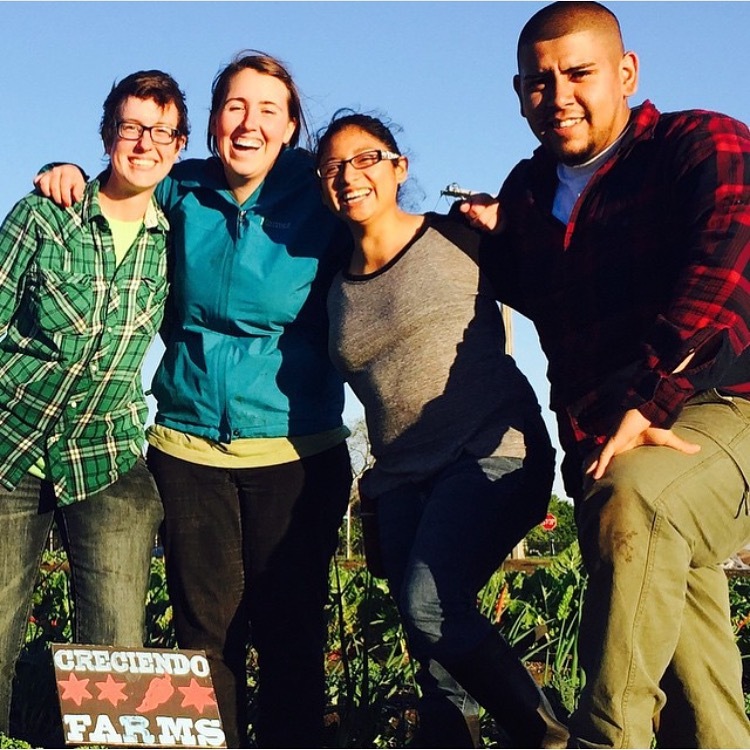 “It’s exciting to look at the farm as a away of promoting health and preventing disease rather than just treating symptoms,” she said. 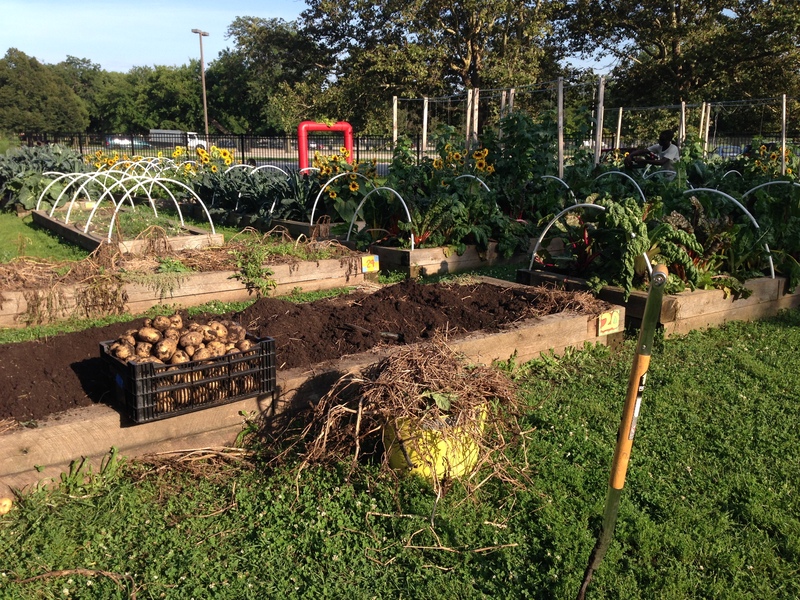 Plans include monthly workshops on nutrition and gardening for neighbors and patients led by Windy City Harvest and PCC. “Preventive medicine is some of the best medicine,” agreed Humana spokesperson Cathryn Donaldson. “We’re thrilled to be partnering with PCC on this important initiative.” Looking ahead, Urso said he will know the farm has achieved success when he meets patients who say they feel healthier and whose chronic conditions are under control after learning to eat better.